The Anger Doctor will custom design a program for individuals, families, groups, organizations, and institutions. 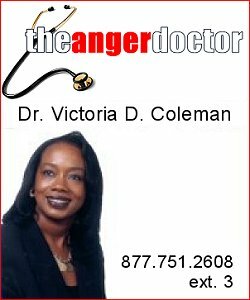 If your Anger Management program is self-referred, employer referred, court ordered, or mandated, please contact The Anger Doctor at 312-268-0011 (business); 702-220-5300 (business); 310-591-8249 (business); 877-751-2608, X3 (toll free); or info@angerdr.com. If you are interested in the Anger Management Home Study Program, please contact The Anger Doctor at 312-268-0011 (business); 877-751-2608, X3 (toll free); or info@angerdr.com.